Recently, the Murray–Darling Basin Authority’s (MDBA) education team took over Questacon to celebrate World Water Day and share their knowledge on all things water. With the help of 20 the MDBA staff, the education team raised awareness of the importance of finding a balance between social, economic and environmental water needs within the Basin’s management, and what the MDBA is doing to promote the Basin’s health. School groups and the general public had the opportunity to experience the MDBA’s interactive community education program through displays demonstrating various aspects of water quality management. The MDBA staff facilitated water activities showing how salt affects water quality, how invertebrates can be good water quality indicators, and how groundwater moves through a landscape. The most popular exhibit among the 2500 visitors was the virtual sandbox. Visitors created different landscapes in the sandbox, a projection sensed the height difference and projected topographical colours onto the sand. Through this experience, visitors were able to change the landscape by moving water, which demonstrated how catchments are formed. Many of the visitors who attended the exhibit live in the Basin and were interested in learning more about how the MDBA plan and manage the water they depend on and balance the water made available between the needs of other water users, including the environment. Visitors also got an insight into the diverse water quality aspects the MDBA needs to consider when managing the Basin. The MDBA’s education team have developed some very exciting programs to support learning about the Basin, its people, industry, environments and the importance of sustainable water management. 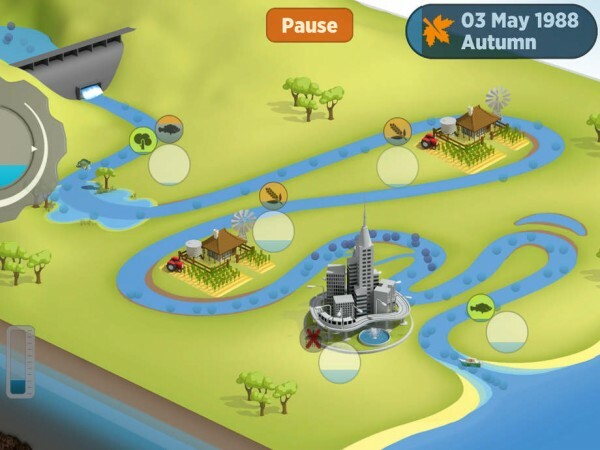 School groups can learn more about the Basin’s management through the Run the River App, remote learning through a video link-up to talk with the MDBA scientists and take a virtual robot tour of the National Museum’s Murray–Darling Basin exhibits. 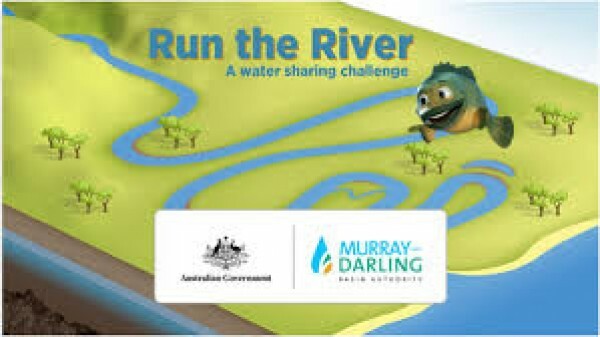 The MDBA’s education team have also developed engaging and hands-on lesson plans and accompanying resources for teachers, and support the Murray–Darling Basin Natural Resource Management Educators Network, which supports natural resource managers and educators within schools across the Basin.